Meeting with Gazprom CEO Alexei Miller. 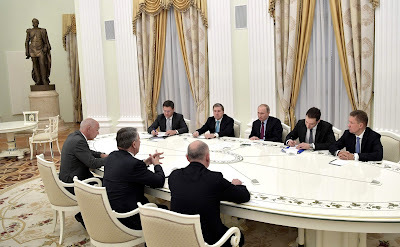 Vladimir Putin had a working meeting with Chairman of Gazprom Management Board Alexei Miller. 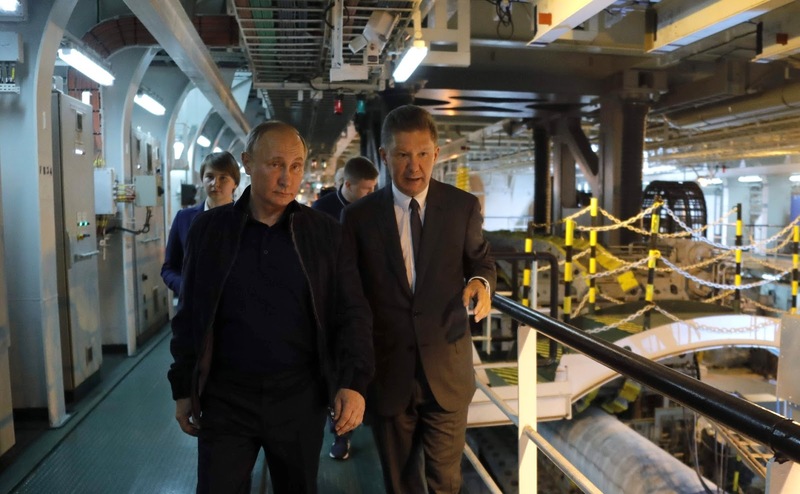 The Gazprom CEO briefed the President on the situation with provision of gas supply to the Russian regions and the company’s current operations. 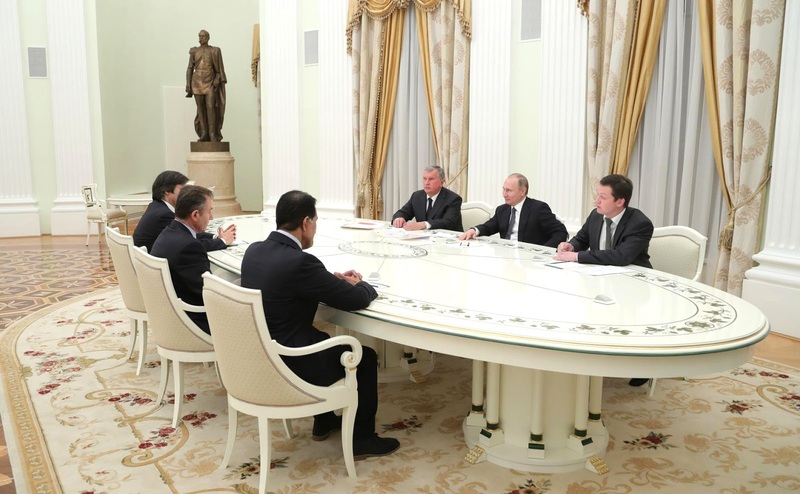 Meeting with Chairman of Gazprom Management Board Alexei Miller. Mr. Miller, let’s discuss the company’s performance so far this year. The second issue is connected to Direct Line: There are a lot of problems related to provision of gas supply. These are traditional problems that people raise in the course of Direct Line, and we do not just discuss these things. 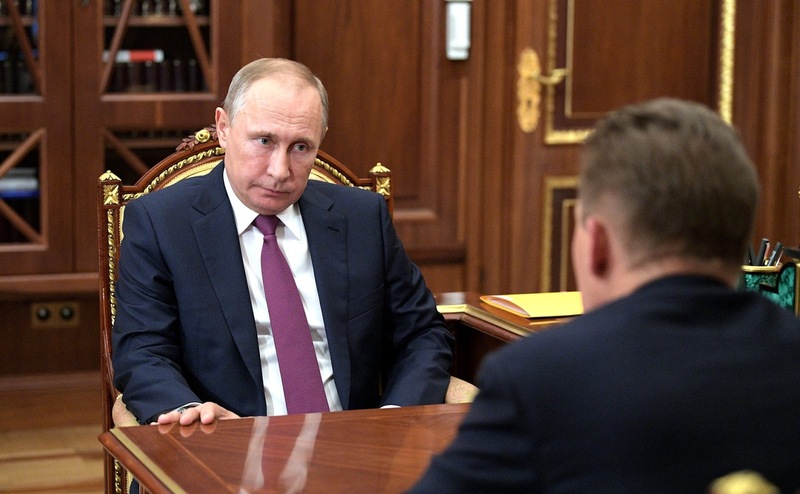 I know that you have proposed specific solutions together with the regions: Gazprom cannot deal with this on its own, without the regions. Nevertheless, I would like to revisit the matter. Mr. President, in the first six months of 2017 Gazprom increased production by 36.2 billion cubic meters, year on year, or by 18.4 percent. This is related to growing gas consumption on the domestic market and it is noteworthy. 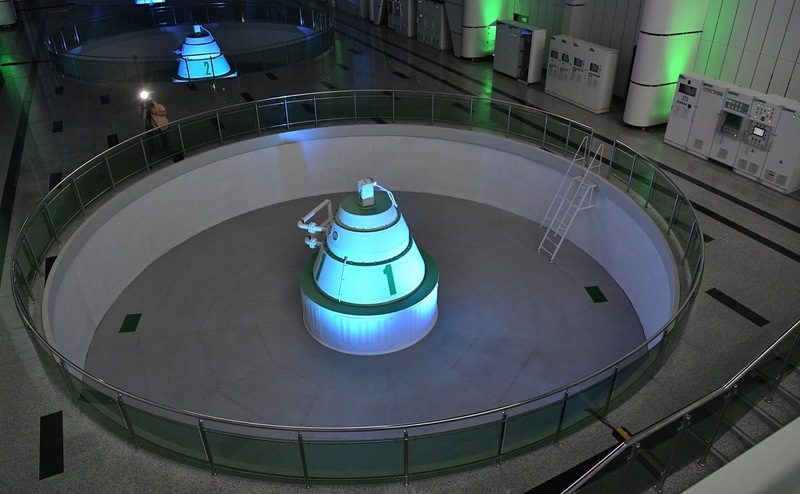 Household gas consumption was up 4.6 percent; consumption in the power engineering sector, 9.5 percent; the agro-chemistry, 20.6 percent; metallurgy, 28.2 percent; total average growth, 11.2 billion or 9.7 percent. This clearly points to economic growth in these sectors. Growing gas consumption in the household sector shows that issues related to provision of gas supply are, without a doubt, very important and significant and Gazprom continues implementing the program to provide gas supply that we launched in keeping with your instruction in mid-2005. 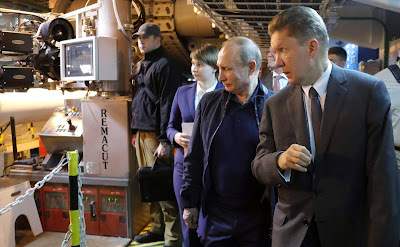 Vladimir Putin and Gazprom CEO Alexei Miller in the Kremlin. This year, we are implementing the program in 68 regions; 25.7 billion rubles have been disbursed. A total of 3,700 km of gas pipelines are under construction as part of this program. This year, 1,700 km will be put into operation in 31 regions; 160 gas boilers will be built and 75,800 flats and households will be provided with gas services; pipeline gas will be provided to over 200 localities. There are problems with some regions. We have 19 regions that regularly fail to fulfil the commitments they assumed under the scheduled synchronization plans that we sign with them every year. They do not get it to the end consumer? 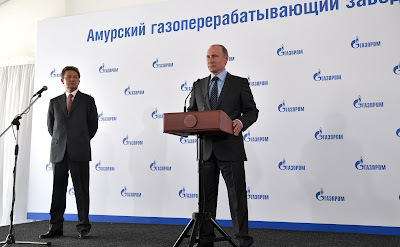 Right, after all, Gazprom is responsible for providing gas to the edge of a settlement. 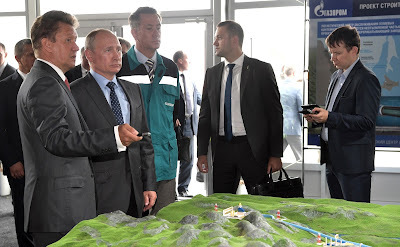 As for the distribution system in the settlement or within the building, or preparations for users to be connected, this is certainly the responsibility of the regions. 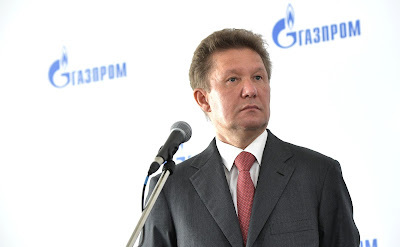 Based on the results of the past six months, Gazprom will have to consider how to redistribute funds in those regions that did not fulfil their commitments in the first half of the year and allocate additional funds to those regions that complied with their obligations. On average, by the beginning of 2017 provision of gas supply reached 67.2 percent nationwide, 70.9 percent in cities and urban settlements and 57.1 percent in rural areas. Chairman of Gazprom Management Board Alexei Miller. The amount of investment we allocate is bringing less and less gain every year because gas has to be supplied to more remote areas. However, I would like to point out that in 2017 we allocated considerable funds to regions like the Primorye Territory, considering the national policy on accelerated development of the Far East. 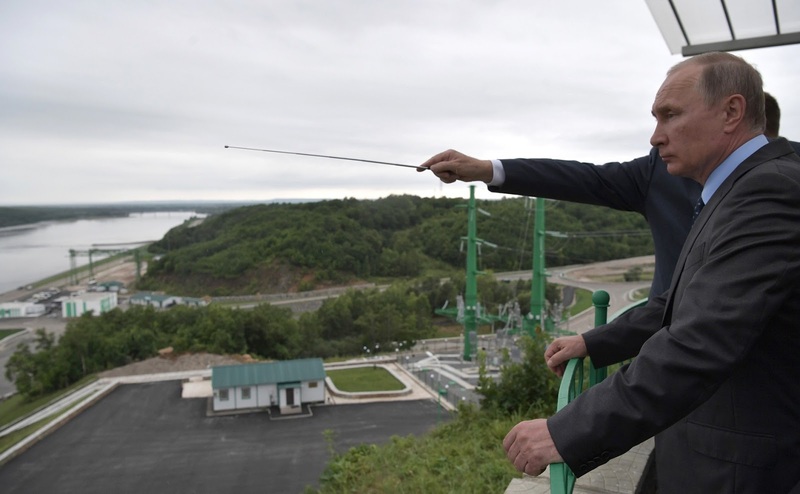 Today the Primorye Territory is the biggest recipient of investment under the gas infrastructure development program. I would also like to note that we have established a good working dialogue with those regions that are led by new governors, acting governors. I would like to mention the Yaroslavl Region. We had a working meeting with the governor in Yaroslavl and mapped out very serious plans on provision of gas supply in the region. Naturally, Eastern Siberia is now playing a tangible role in our program. I would also like to mention the Novosibirsk Region. We are allocating substantial funds to them. And I would also like to mention the Northwest – Karelia. Probably, I should also mention a number of regions that regularly fail to comply with their commitments for various reasons. This applies to Dagestan and, regrettably, the Volgograd Region. These are the regions that chronically lag behind the obligations they assumed. Gazprom is funding the program in a consistent manner. In the first half of the year we earmarked exactly half of the funds that were provided for the program. We plan to start service at all facilities by the beginning of the 2017–2018 autumn-winter season. Meeting with Royal Dutch Shell CEO Ben van Beurden. 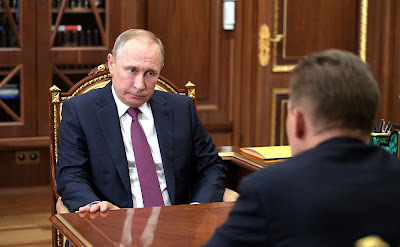 Vladimir Putin met with CEO of Royal Dutch Shell Ben van Beurden to discuss, in particular, the implementation of the Nord Stream 2 project. 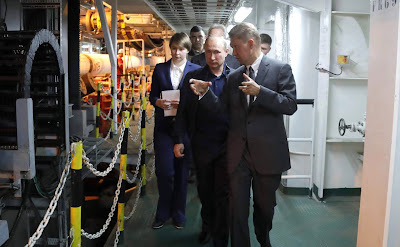 Royal Dutch Shell is one of the world leaders in the energy and petrochemicals sectors, operating in more than 70 countries, and has a close partnership with Russia. Beginning of the meeting with CEO of Royal Dutch Shell Ben van Beurden. Allow me to cordially welcome you to Moscow and congratulate you on the 125th anniversary of your company's operations in Russia. The company started out with kerosene exports from the Russian Empire, namely Baku, to third countries. Now, the company is widely represented in Russia, and we have very good prospects and big plans. I will be pleased to discuss them with you today. Thank you very much, Mr. President. As always, it is a pleasure to meet, and it is an honor to be back in Moscow again. You are right, 2017 is a very special year for us because it is, as you said, 125 years since we started working in and with Russia. You have been well briefed, Mr. President. It started, indeed, with the first ever bulk kerosene transport from Baku to Singapore in the Shell Murex. It was a huge success, and one could argue it was the beginning of the modern oil transportation era, and definitely the foundation of the success of our company. But this success would not have been possible without the strong partnership from our Russian friends in those days. And that partnership, of course, has strengthened and flourished for many years since then. I am very happy and very proud of what we have done in Russia, the contribution that we have made in establishing new energy systems like LNG, and contributing to new field development. 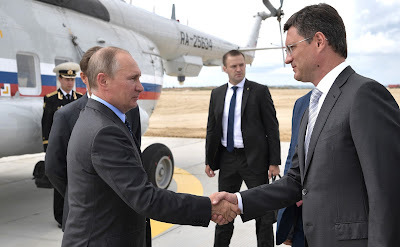 So this time I come to Moscow specially to say “spasibo” to you, Mr. President, to Russia, for the trust, for the confidence, and for the welcome that we have enjoyed for 125 years. But I also come to say that I am optimistic about our business and the future of our business in Russia. There have been some very important developments. Recently we agreed and executed the loan agreements on Nordstream-2. 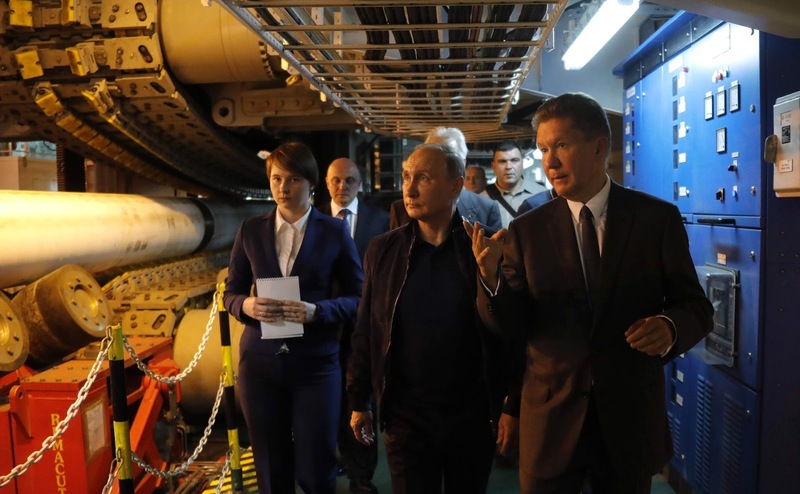 And I believe Nordstream-2 is a very good project, a project that will enhance energy supply security in Europe, and a project that both Europe and Russia will benefit from. But also, in Moscow today, I detect another sense of optimism – optimism about the match that is going to be played tonight. It is a very important match, Mr. President, and I hope that, despite your very busy schedule, you will find some time to enjoy aspects of it. Vladimir Putin: I am not sure about football, but with regard to our plans, including the Nord Stream-2 project, which you mentioned, it has every chance to be successful. I always emphasize the fact that this is a purely commercial project and, of course, it is tied to the prospective increase in gas consumption in Europe to 510 billion cubic meters per year at a time when domestic production in European countries, including northern Europe, will be declining. 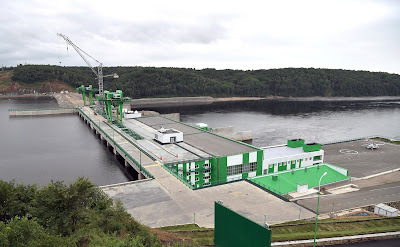 I think all we need to do is to calmly explain to all our partners, all stakeholder countries and legal entities that this project is not directed against anyone, but, on the contrary, is designed to promote the development of energy markets. Of course, energy can be obtained from other sources. It is all about competitiveness, logistics and the cost of these components. I believe that we need to maintain a patient and friendly dialogue with all our partners. 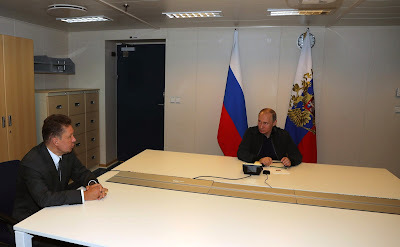 Vladimir Putin during a meeting with CEO of Royal Dutch Shell Ben van Beurden. 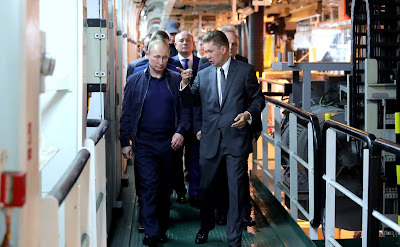 CEO of Royal Dutch Shell Ben van Beurden (center). Putin met with Rosneft CEO Igor Sechin. 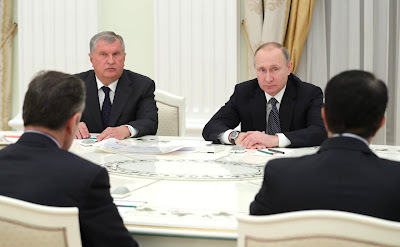 Russian President Vladimir Putin and Rosneft CEO Igor Sechin. Mr. Sechin, there is no need to describe Rosneft, since it has truly become one of the world’s oil and gas industry leaders. A lot has been done lately to consolidate the company. A portion of the company's shares went private, you now have strategic investors who have assumed certain commitments to develop the company and organize the sale of oil and petroleum products. In a word, the company is expanding. 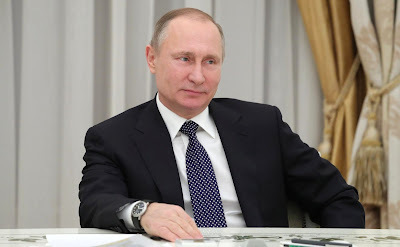 I am aware that a general shareholders’ meeting will be held in a few days, so I would like to ask you to discuss a number of issues related to high technology, digital technology, the latest production techniques and, most importantly, changes on the international market. 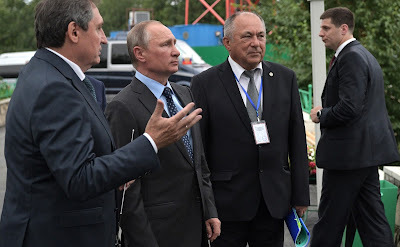 You are among the participants in the process of coordinating the positions between our largest companies, and the Government, and, in turn, this is how we formulate our position with regard to our partners on the international oil market. 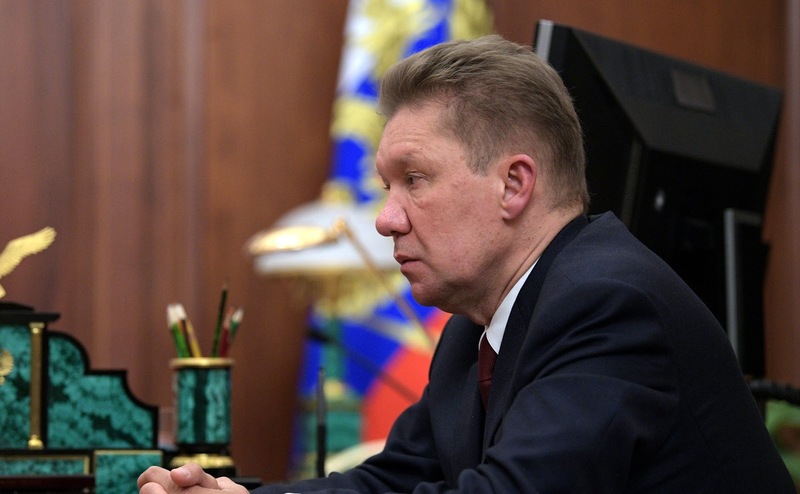 As a matter of fact, Rosneft participates in developing these decisions. You are aware of what is happening on the international market, so a new corporate strategy should be developed based on your knowledge. Of course, I would like to ask you to get back to the fiscal issues, namely, to paying 50 percent of the dividends based on net revenue. These and other issues will need to be discussed with your colleagues during the upcoming meeting. We have carefully studied the instructions you issued at the St Petersburg [International Economic] Forum. Of course, we will use the upcoming general shareholders’ meeting and the board of directors meeting, which will follow the general meeting, to raise all the issues related to our response to the volatility on the international markets, strengthening the company's position in light of improving its efficiency and reducing costs, using advanced technology, such as digital material management technologies, supply chain management, and overhauling accounting systems across all areas of business pursued by our company. We signed a relevant technology transfer agreement with General Electric several days ago and hope it will have a major impact. We will have to make some adjustments in corporate strategy. 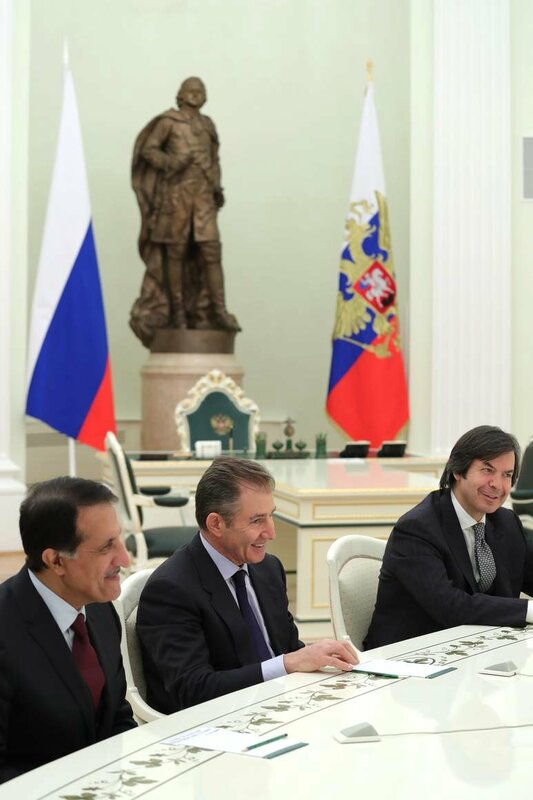 We will use everything that is aimed at boosting efficiency and adopting cutting-edge technology in oil production and processing to approach the premium customer markets such as petro chemistry. We will draft instructions and a new corporate strategy to deal with the challenges we are facing. Please tell us about the new deposit. Mr. President, we would like to thank you. 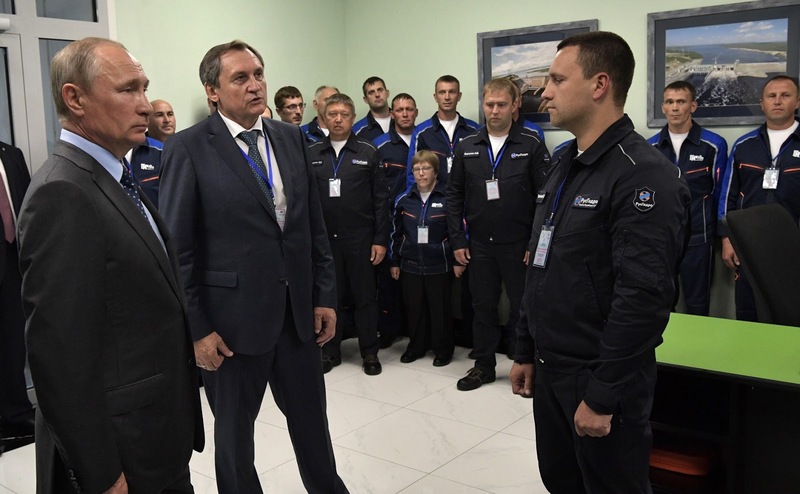 You gave us the command to start working at the Khatanga licensed site. Here are the first results of this work. (Core sample is shown.) Please be careful – the core is oil-saturated. It is filled with oil and even has oil staining. This core is unique for our deposits. 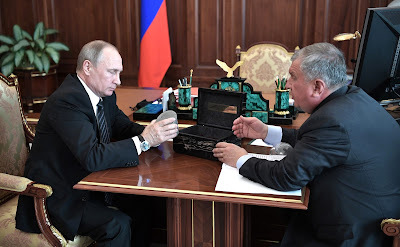 We made a tentative analysis and its high hydrocarbon content and productive bed thickness allow us to report to you, Mr. President, that we are about to discover a very rich deposit. We brought this core from a depth of 2,300 meters. Our task is to continue research to a depth of 5,000 meters in order to explore Lower Permian beds. Today our geologists are saying these will be unique deposits. 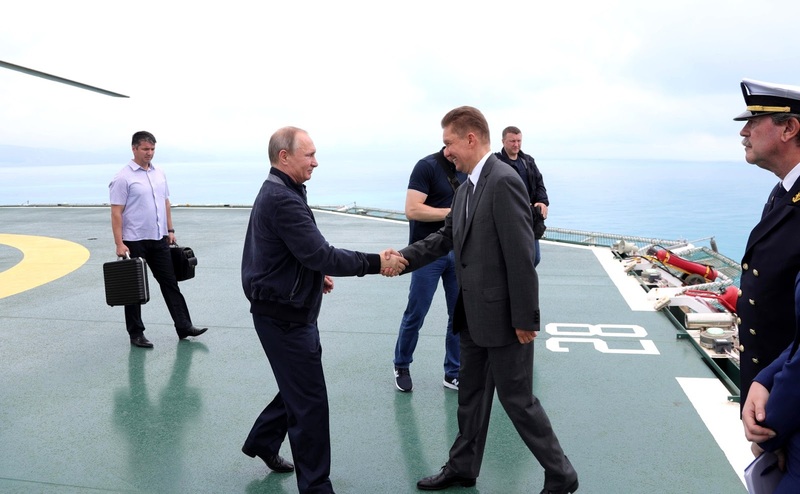 According to preliminary technical studies in the Laptev Sea area, they may contain up to 9.5 billion tones of geological resources. This requires a serious effort. We hope you will follow up on our work and we will report to you on new results as they come along. Russian President meeting with Rosneft CEO Igor Sechin. President's meeting with Russian Government members. I ask Mr. Men to give us some more details on this matter. 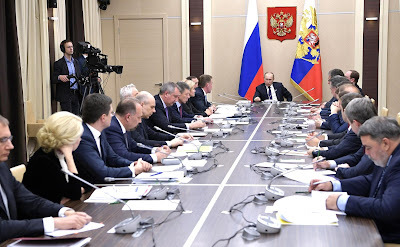 Russian Government took a number of measures to act on the instruction you issued following the State Council meeting examining strategy in the construction sector. A number of changes were made to the law on participation in co-funded housing construction and came into force on January 1, 2017. These amendments aim to better protect people taking part in co-financing of apartment block construction projects. 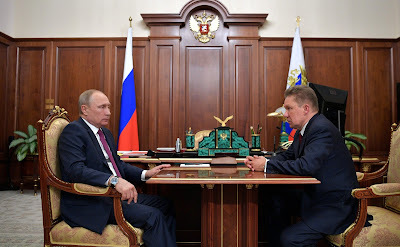 Russian Government has drafted additional amendments to a number of laws, which will be submitted soon to the State Duma, in order to ensure this state fund’s effective operation and establish a common mechanism for protecting shared construction participants’ rights exclusively through this compensation fund. I hope that our Duma colleagues will give these amendments their priority attention. We ask for your support on this. The fund began operation on January 1. In this context, there is a second question. 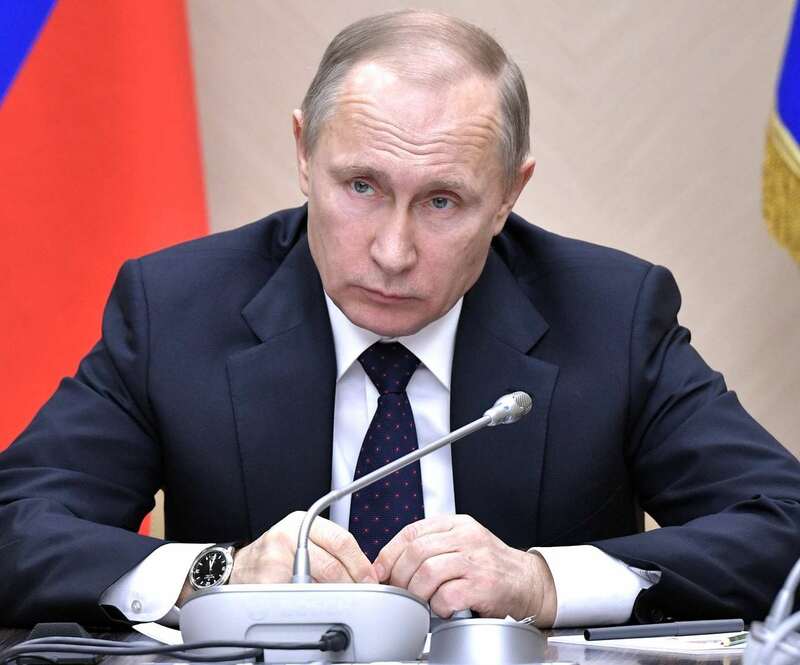 Russian Government is working on the mortgage issue, keeping in mind the target figures set by the Presidential Executive Order of May 7, 2012. The target was to have at least 815,000 new mortgage loans a year. We had a good year in 2014, with more than a million new mortgage loans. Then we went through a difficult year in 2015. The Government briefed you and got your support for including in the anti-crisis program measures to subsidize interest rates of mortgage loans to buy newly constructed housing. This program was quite effective and some people even consider it one of the anti-crisis plan’s most effective measures. As regards our commitments, we think for now that total spending on this measure will not come to more than 17 billion rubles, with a total of 25 million square meters of new housing purchased. Considering the low inflation we had in 2016, and seeing that the financial market has stabilized significantly now, the Government has decided not to continue this program, because the commercial banks are already offering mortgage loans at 12 percent or less interest. Our goal under the anti-crisis plan was precisely to give borrowers a rate of not more than 12 percent. At the time when we took the decision on subsidized rates, banks were offering loans at 20 percent interest. There was practically no hope for such a product on the market. (Mr. Shuvalov went on to brief the meeting on the work of the Agency for Housing Mortgage Lending, its cooperation with the Central Bank and commercial banks, and on measures to get housing onto the market). We all know that today’s oil price is linked to plans to reduce oil production. Mr. Novak, what is the situation with this production reduction plan? On December 10, 24 countries, the leading oil producers, reached an agreement on stabilizing the situation on the oil market and the need to start reducing oil production as from January 1 by a total of around 1.8 million barrels a day. The OPEC countries (13 countries) account for 1.2 million barrels a day of this reduction, and the 11 non-OPEC countries for 558,000 barrels a day. 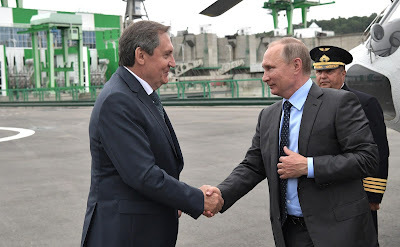 Russia will take voluntary part in this agreement and will potentially reduce production by up to 300,000 barrels a day. We have noted that the effectiveness of the agreements and decisions is already visible, since the price has stabilized at $55 per barrel. According to leading analytical agencies, the price is much closer to a fair price, about 10 to 15 barrels higher than it would have been without the deal. Yes, 10 to 15 dollars per barrel. We also see a decrease in the speculative pressure on prices, because at the beginning of the year, when prices fell hard, there was an all-time high number of traders shorting oil. Now, the situation has stabilized. In general, I must say that the Vienna meeting showed that all countries intend to properly execute the agreement, as it is in the interests of both the producers and the consumers. We believe that rebalancing the market, subject to full compliance with the agreements in the first half of the year, will allow us to reach the level of leftovers equal to the average over the last five years for oil by mid-2017. This is the outcome, the goal that was set in order to balance and stabilize the oil market. This volume, the conventional excess amount of oil on the market, when do you think it will run out – by around mid-2017 or so? By the middle of 2017. It’s 300 million barrels, which is above the multi-year average of stored oil leftovers. Are our companies facing any problems in that regard? Our companies are operating under the agreement, and do so on a voluntary basis, as it really is beneficial both for the companies and the budget in general. About 70 percent of additional revenue that we have today go to the budget. The first 2018 FIFA World Cup fan passport was issued on February 1. How is this work organized, and where will it go from here? Mr. Nikiforov, please go ahead. 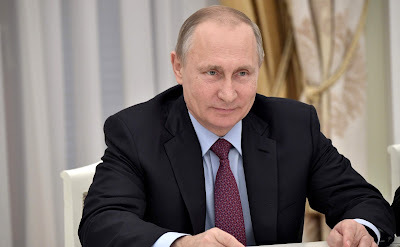 Moreover, once registered, that person can enjoy visa-free entry to Russia under our government guarantee, which we issued when organizing the World Cup. This electronic document, plus a mark in an appropriate database. Fan passport centers are open and already issuing passports in four Confederations Cup host cities, namely, Moscow, St Petersburg, Kazan and Sochi. We are talking about thousands of applications. We think the closer we get to the summer, the more applications we will process. 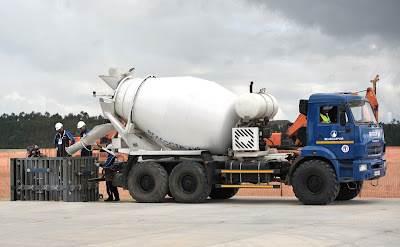 Overall, we believe that it should become a standard solution to ensure safety, convenience and comfort. I believe Mr. Mutko is better positioned to talk about the place of the fan passport in the overall organization concept. Mr. Mutko, please go ahead. 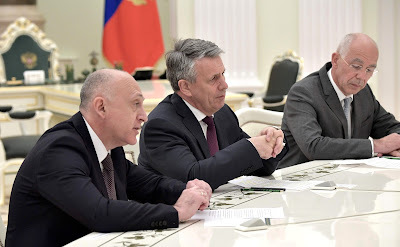 Mr. President, Mr. Nikiforov has already mentioned that this is an important step in our preparations for the World Cup and the Confederations Cup. 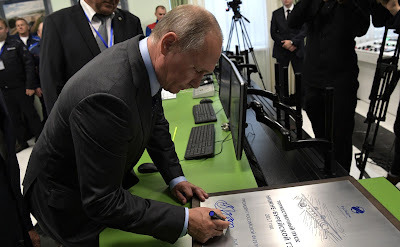 I just wanted to add that this component of the security concept approved by you will, of course, allow us to bolster security measures and create a more comfortable environment. We think about 700,000 tickets will be sold for the Confederations Cup. More than 100,000 applications have been filed already. About 10,000 people are in the process of obtaining their fan passports. It’s very convenient. We will think through all the ins and outs. If needed, such centers will be built near the stadiums in case someone loses or forgets their stuff. We will take care of everything. Mr. President, we have little time left before the Confederations Cup. The overall preparations are going at a good pace, and the first match in St Petersburg will be held on June 17, which will mark the opening of the Confederations Cup. 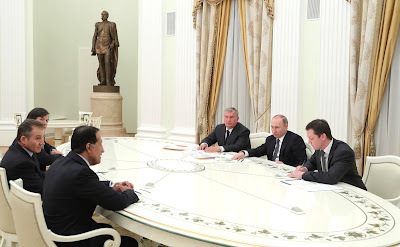 Vladimir Putin at meeting with Government members in Kremlin. President's meeting with Government members in Kremlin. 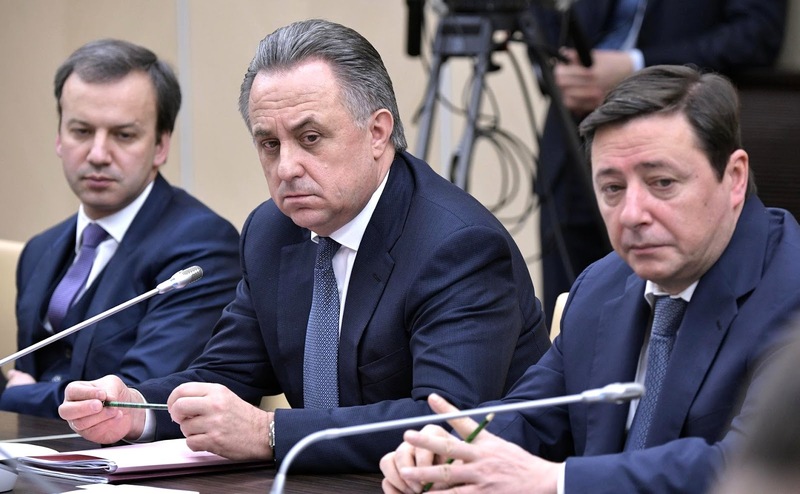 Left to right: Deputy Prime Ministers Arkady Dvorkovich, Vitaly Mutko and Alexander Khloponin. 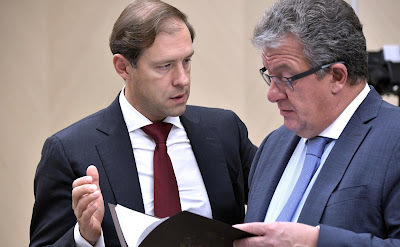 Industry and Trade Minister Denis Manturov (left) and Deputy Prime Minister – Chief of the Government Staff Sergei Prikhodko before a meeting with Government members. 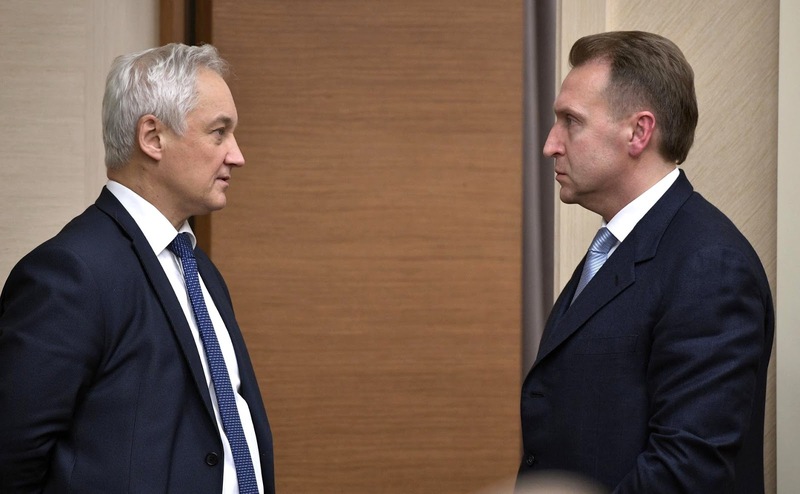 Aide to the President Andrei Belousov and First Deputy Prime Minister Igor Shuvalov before a meeting with Government members. 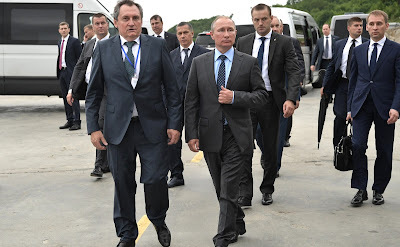 Vladimir Putin. Meeting with Rosneft Board Chairman Igor Sechin. 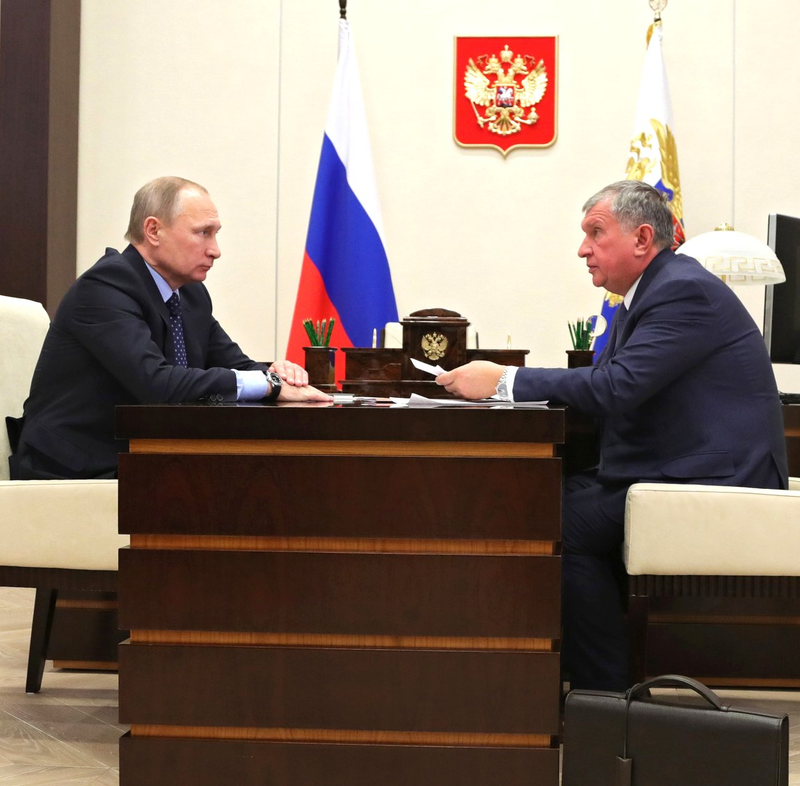 Mr. Sechin briefed President Putin on Rosneft’s performance in 2016. 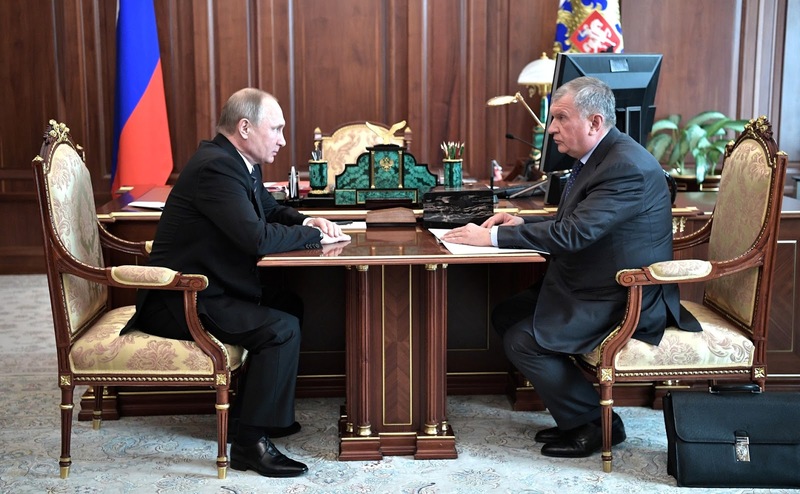 Mr. Sechin, aside from the deal we all know about, how did the year go? What is the overall situation? Mr. President, 2016 saw particular volatility on the hydrocarbon markets. 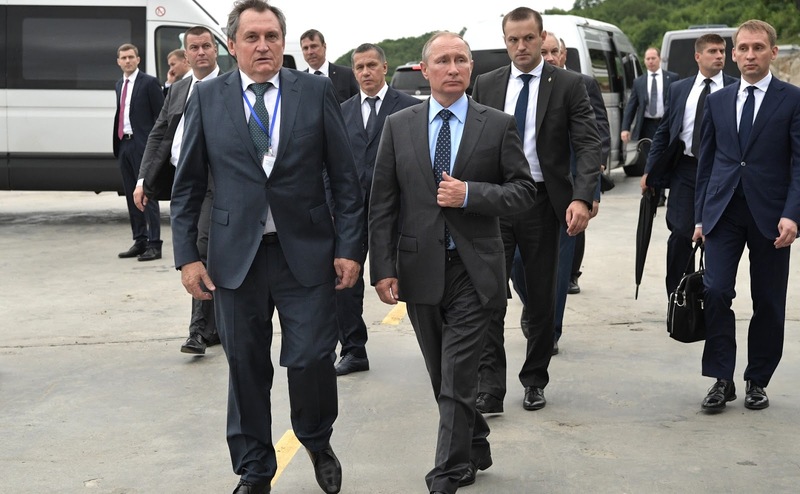 We had to work under pressure, but the year set a record in terms of production for Rosneft. Production increased by around 4 percent with total production for the year in liquid equivalent coming to 265 million tonnes. This is a record figure for the company. Of this amount, oil production accounted for 210 million tonnes, and we produced 67 billion cubic metres of gas. Total investment in 2016 came to 750 billion rubles. Investment went mainly into increasing production drilling in Western Siberia and for new projects. 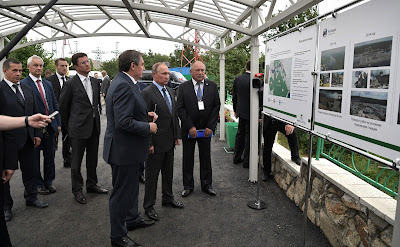 This meant that the Suzunskoye field, the Vostochno-Messoyakhskoye field, which we developed together with Gazpromneft, and growth at Yuganskneftegaz became the main factors contributing to the production growth we achieved this year. The volume of production drilling increased by 35 percent (to 9.3 million metres) in 2016, and we brought 2,700 new wells into operation. This was also a record figure, up 43 percent on the 2015 result. This was possible because the company created its own oil drilling service, and we increased the total number of well rigs by 20 percent in 2016. We discovered 13 new fields over the course of the year, and 103 new deposits with total reserves of up to 159 million tonnes in oil equivalent. We expect the reserves increment to reach 290 million tonnes. 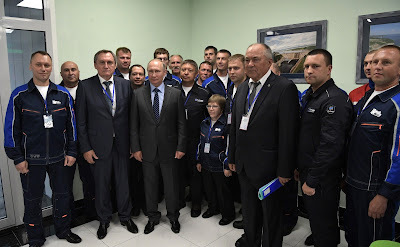 The Russian refineries affiliated to the company processed 87.5 million tonnes, and we processed more than 12 million tonnes at refineries abroad, also affiliated to Rosneft. Total processing thus came to around 100 million tonnes. In 2017, we intend to bring processing at our facilities up to 120 million tonnes. The share of light petroleum products has grown to 56 percent, and the refinery yield has increased to 71.2 percent, compared to 2015. Primarily the company supplies our consumers in the Russian regions where we have a presence, and, of course, we ship to the export market. 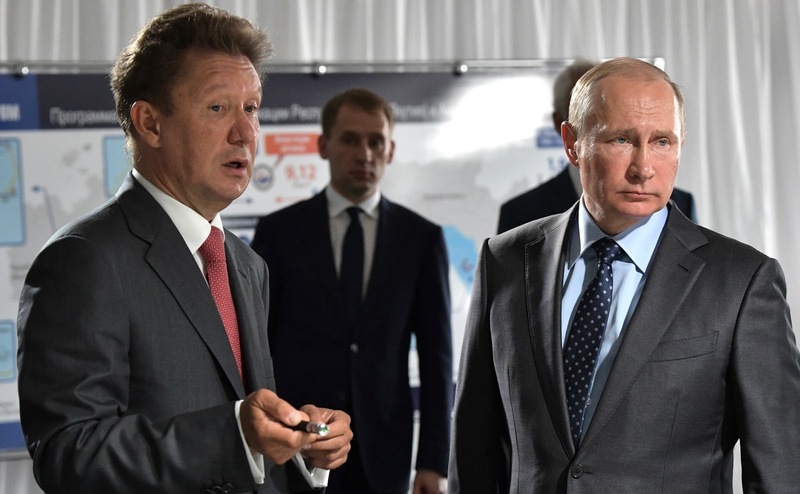 Fuel oil production at Russian refineries decreased by more than 10 percent in 2016, in connection with new facilities coming into operation, and production of diesel fuel and Euro-5 petrol grew to 28.4 million tonnes, surpassing 2015 figures by 42 percent. As far as production was concerned, the year was tense, but positive for the company. Regarding our tax and budget payments, taking into account the privatisation deal you mentioned, total budget payments came to more than 3 trillion rubles. Are you planning to meet with the investors? Yes, Mr. President. I wanted to ask you to meet with the investors taking part in the privatisation deal – our partners from the Italian bank Intesa, the Qatar Investment Fund, and Glencore – to underscore this deal’s significance and to brief you on the new projects in which they will take part. We plan to increase our active work with these partners. Right from the start, you helped to prepare this deal, followed it, and we would like to give our partners the chance to talk about the prospects ahead. On international projects, the company continues working with its traditional partners and new ones. These include our Indian partners, ONGC, BP, with whom we are developing work, Exxon, Statoil, and Eni. Work is developing in all areas. We will increase supplies to China to 31 million tonnes this year, and at the same time, we have consolidated our refining capacity in Europe. We are now the third-biggest producer of petroleum products in Germany and we ship 18 million tonnes of oil to our own refineries there. We ship around 71 million tonnes to Europe as a whole, including the 10 million we supply to Belarus. As I said, we will deliver 31 million tonnes to China this year, and will start shipping to India. 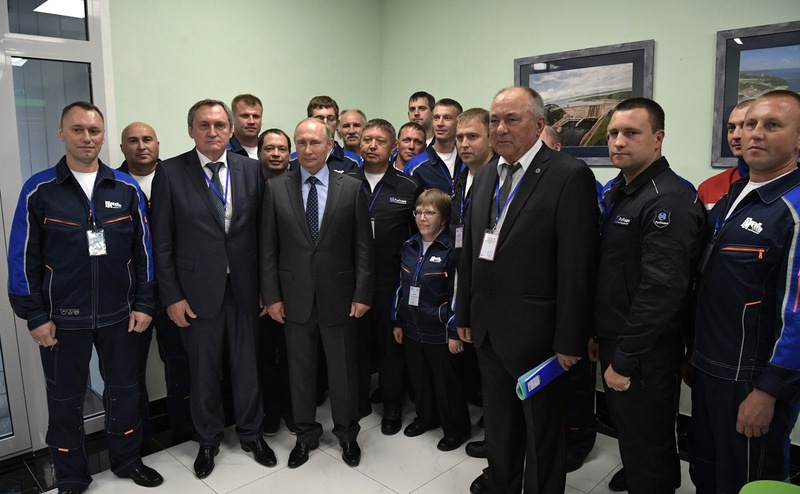 We will begin with 2 million tonnes this year and will increase this to 20 million tonnes, which corresponds to the refining capacity at the Essar refinery in Vadinar, which will now also become affiliated to Rosneft. In 2017, we plan an investment programme of 1.1 trillion rubles. Particular focus will be on building up capacity at the new fields: developing the Suzunskoye, Lodochnoye, Russkoye, Kuyumbinskoye, Yurubcheno-Tokhomskoye and Taas-Yuryakh fields. 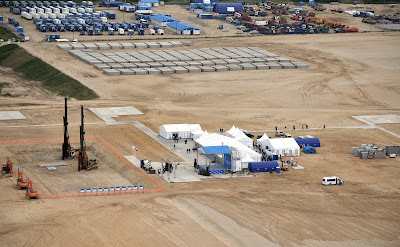 Then there are our gas assets: Rospan, Kharampur, and the Kynsko-Chaselskoye field. 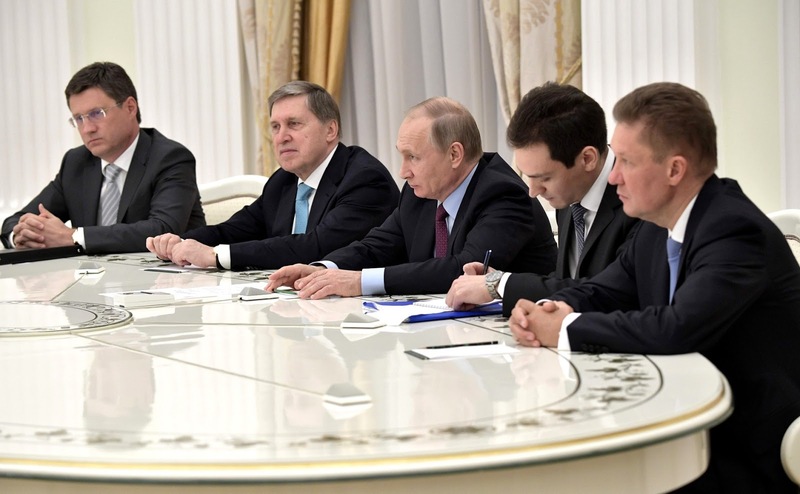 In 2018, we plan an investment programme of 1.3 trillion rubles. 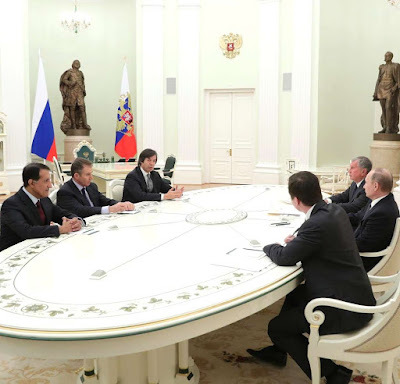 Vladimir Putin hold a meeting with Rosneft Board Chairman Igor Sechin.